Last August, Elon Musk teased a robotic charger for Tesla vehicles that got a lot of folks really excited. 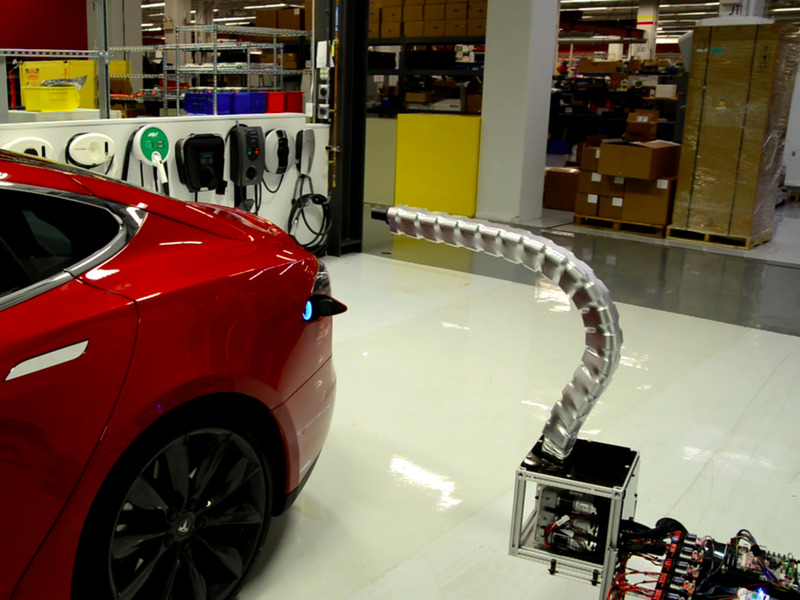 The robotic charger, which looks like a metal snake, was shown in a video automatically connecting to a parked Model S to power the vehicle. At the time, Tesla said it was a prototype and did not reveal whether or not the device would become available for purchase. But the video apparently inspired at least one Tesla fan to take matters into his own hands. Deepak Mital, a Model S owner, posted two videos online Sunday showing his own DIY robotic charger for Tesla vehicles. Like Tesla’s prototype charger, Mital’s charger is capable of autonomously connecting with his parked Model S. Also like Tesla’s charger, the homemade device looks a lot like a metal snake. According to Electrek, which first spotted the project, Mital’s robotic charger is powered by a Raspberry Pi 3, which is a $35 computer the size of a credit card. Check out Mital’s futuristic charger plug itself in below. And here you can see the charger retract from the vehicle.